Keep the learning alive and delve into the art of bean to bar chocolate, making chocolate decorations, accents and garnishes. This class is where passion and technique merge with artistry and wild creativity. In the first two raw chocolate classes (Fundamentals and Candy Bars & Bombs) we were laying the crucial foundations of understanding chocolate and building a relationship with it — experimenting, finding our place within it and logging our 10,000 hours to mastery. Now that you have a solid foundation of learning under your belt, we can have a good ole play around and create some true art pieces. Consider this class your pièce de résistance. 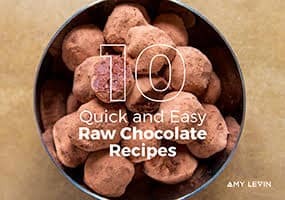 I’ve been making raw chocolate since 2005 and when I first started out there was no one stone grinding their chocolate as domestic grinders were not yet available. Now-a-days there are many brands of stone grinders available for purchase which make it easy, and relatively inexpensive, to make perfectly professional quality chocolate at home. Say goodbye to any residual grittiness in your chocolate and that watery consistency which makes it near to impossible to work with. With this professional quality chocolate, we can make stunning garnishes, accents and accompaniments out of pure chocolate. A full day workshop designed for experienced chocolate makers to expand and refine their chocolate making skills. 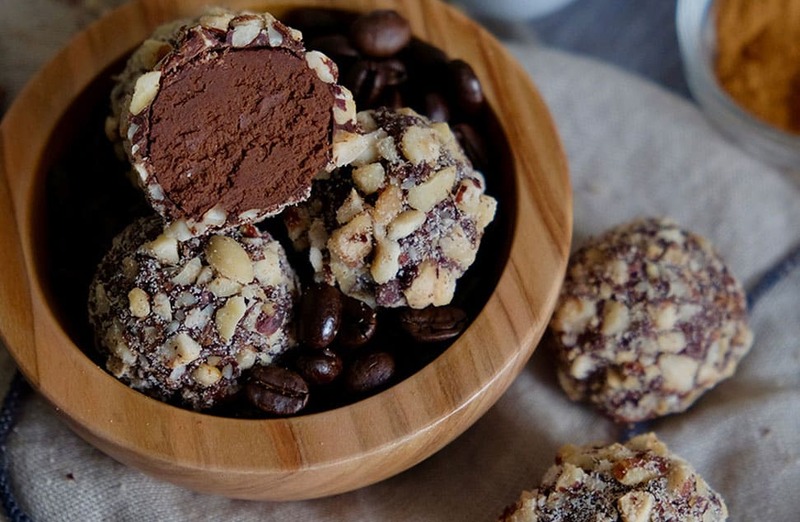 Learn first hand how to use a stone grinder to make bean to bar chocolate. Play with professional chocolate working techqniues to make garnishes, accents and even a chocolate serving platter. Create fine and lattice chocolate tubes to use for presenting desserts in a beautiful and professional way. Get first hand experience in working with stone ground, bean to bar chocolate so when you’re at home, you know what it “should” be like. Bring your passion and love for making raw chocolate into an art form all your own by making 3D objects. You’ll take home a little box of chocolates to enjoy (show off) with friends and family… If you decide to share. Your course is not just an introduction to raw chocolate, but also to a community of passionate raw chocolatiers which will support you long after the course is completed. ‘Bean to Bar’ chocolate — What it means, how to make your own using various methods and tools and “The Chocolate Spectrum”. Chocolate Tasting Session — We’ll taste some awesome (and not so awesome) 100% chocolates to explore flavour layering and the journey of chocolate on the palate, explore the traits of different origins of beans and invite each student to share their home made chocolates as part of this focused tasting session. Stone Grinding — Which grinders are best, starting a batch of chocolate, how to clean the grinder and working with stone ground chocolate. Fine Chocolate Work– This is where your passion for making raw chocolate meets your inner artist. We’ll tinker with flakes, curls and cigarettes that can be used to accent cakes and pies or as additions to ice cream and plated desserts. 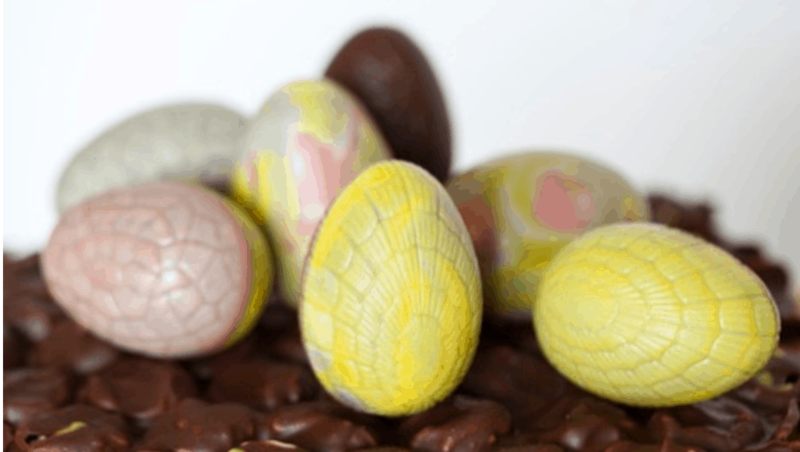 3D Chocolate Work — Hollow Easter Eggs will never overwhelm you again! We’ll use both professional moulds and odd objects to make 3D hollow objects ( filled or empty ), chocolate bowls and a serving platter made of chocolate! 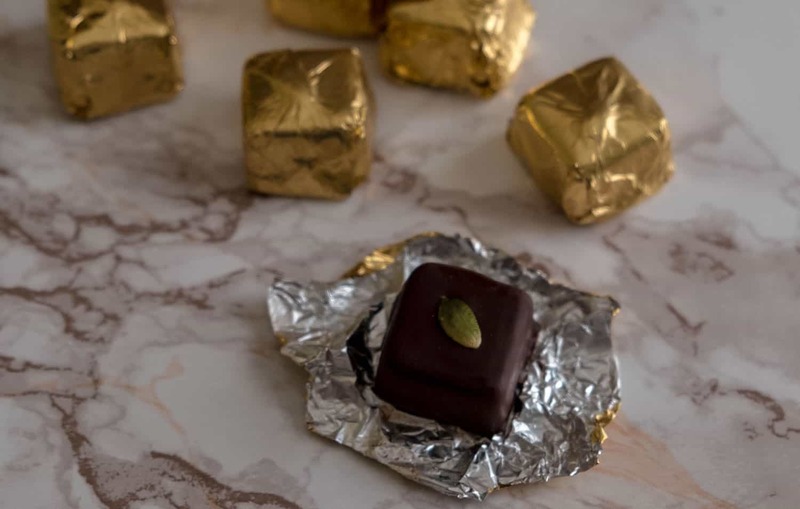 Transfer Sheets — We’ll make our own transfer sheets and experiment with a few ways of using them to impart beautiful patterns and colours onto your finished chocolates or to use as accent garnishes. After the class, I encourage my students to stay connected. The raw food world is a small one, the class is as much about making new connections as it is about creating great chocolate. I will be available after class via email to answer questions and help you overcome any snags that might pop up. Most of all, by taking the class, you will be invited to join my private “Advanced Raw Chocolate” Facebook group; a community for my students, many of whom have gone on to create chocolate commercially. You can post questions or comments here, and in time help others too! Just kidding, there isn’t any. However, to get the most out of the class I suggest you research “raw food” and “raw chocolate” online or buying some basic raw food books so that you are familiar with basic methods of raw preparation including using a high speed blender, dehydrator and soaking and sprouting nuts and seeds. This will help you to understand some of the content of the class better, but this is definitely not essential as all questions that arise during the class will be addressed there and then. You will be given a code (good for a lifetime), giving you both at 40% off. This means that you will have everything from the class, and much more, at your finger tips forever. Will I need special equipment to practice what we learn in class? Nothing major. If you decide you’d like to stone grind chocolate after attending this class, that will be the only major purchase to be made. Mostly it’s just some inexpensive tools you’ll require and they can be easily found online. Do you teach this class outside of London? Not at this time, but if you have a venue and the suitable equipment, I am happy to discuss you hosting the class in your area. This class is also available online – click here – if you’d like to learn that way. Will the techniques taught in this class be applicable to a business? It depends on the business model. 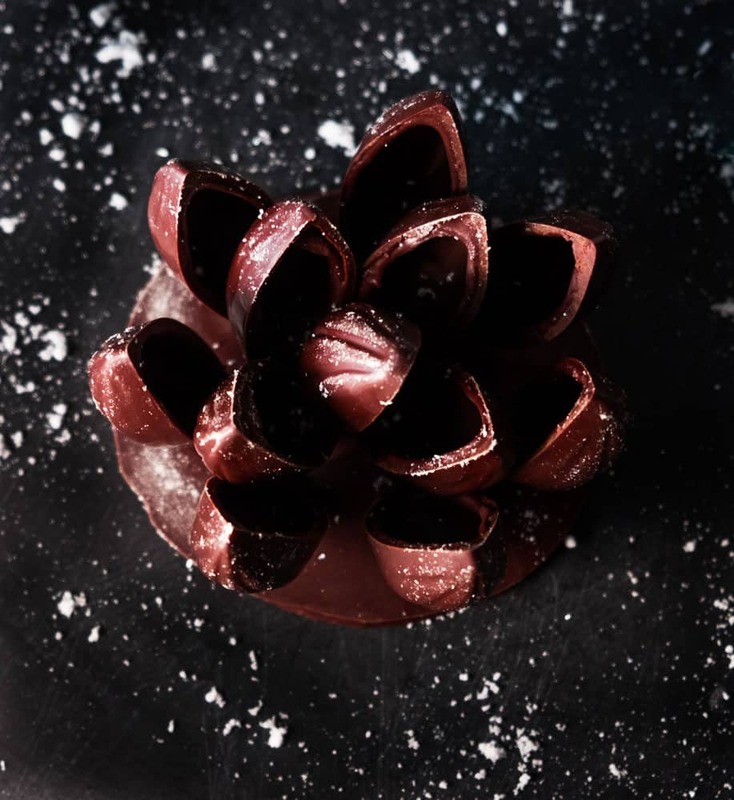 If you run a chocolate and cake business, then this class will teach you how to make stunning accents and garnishes for your desserts. It will also teach you how to use a stone grinder to achieve professional quality chocolate at home or in your business. However, if you’re looking to learn some basic raw chocolate recipes to make and sell in bulk, you’d be better off booking a private class with me so we can work on your particular product range to make it do-able and profitable.